This is a new lily stamp from Alesa Baker called Loving Lily 2 - I wanted to do some no-line coloring with Inktense Pencils so I stamped the image in Angel Pink Memento ink before coloring. My first step was to color in the stamens with the fine tip of a brush marker, then I masked those areas with a Sakura glaze pen so they would resist my other coloring. The rest of my watercoloring was done in layers - I love the Inktense pencils, because the permanent ink doesn't move with subsequent layers. Click HERE for the sentiment - I love this font! 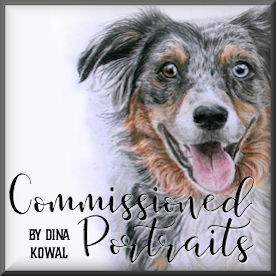 Wow, Dina! You really made these lilies sing! WOW!!! Beautiful and I learned a few things reading the post....want to try this for sure...thanks for sharing!! Beautiful flower and coloring. I was just considering getting the Inktense pencils, now I think I will. You brought that flower to life. this card is just gorgeous. It could be a framed painting on a wall. Your talent and knowledge of the various products combine to create such stunning cards. This card is so beautiful! I love the technique you used! Wish you had a tutorial. Intense colors/coloring! Love the no stamp lines look! Beautiful card, your coloring is always fabulous. WOW! Absolutely beautiful card. Love the stamp and especially the coloring. I love your coloring. Thank you for the instructions you always give. Such a beautiful card!!! You really out done yourself with coloring the lilies!!!! These are incredible! Thanks for sharing. Wow! I first thought those gorgeous flowers were printed on the paper because it looks so real! LOVE!!! another beautiful card - you are amazing! Thank you for sharing this beautiful card. It is quite lovely. I am becoming quite a follower of IO. Thanks for this chance to win. Simply gorgeous...I have yet to try the no line technique and yours is absolutely stunning! I am so impressed with this card. The bow and the lilies are simply breath-taking! I second Trish and will file that tidbit away as well. Never thought to use glaze as a mask. Beautiful image. OH My Word..Your coloring is stunning. These flowers look so real. Beautiful! Never in a million years would I have thought to stamp it in angel pink. Just like a painting, beautiful. Thanks for sharing the tricks on how you created this beautiful card...really showcases the new stamp! wonderful artistic feel, makes for such a lovely background! lilies are my fav flower and yours is divine; thanx for the inspiration! Absolutely stunning. The flowers look so real. 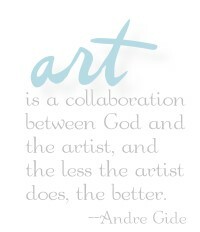 You are a true artist. I'm going to buy some Inktense coloured pencils and watercolour pencils this year. My one treat. That stamp is gorgeous, and your coloring is fantastic! Nice finishing touch using the organza bow! Gorgeous lilies! Amazingly coloured! Love the Glaze pen tip, thanks so much for that! So lovely...you make these flowers look so lovely and create a gorgeous card! WOW! This is totally gorgeous!!! Beautiful showcasing of this stamp! Love your card. when I first opened the picture. The flowers looked like they were felt, you wanted to touch them. Beautiful. And thanks for the tip of using the glaze pen as a mask. ....have a good day and thanks for sharing. Beautiful card - love the lilies and the matching ribbon and button. I have to say your colouring is amazing - I will have to dig out my Inktense pencils now. Thanks for the glaze pen tip! Great coloring, as always, Dina. A pretty card. Lovely card! So cheerful! Love that lily stamp! Very pretty. Thanks for the technique tip. Thanks for sharing the steps of your technique! Wow.....love the vividness of your coloring!! Beautiful card! Gorgeous card! Amazing coloring! Will have to try out the pencils you mentioned and some of the tips you shared. That lily is a beautiful stamp! Gorgeous Lilies Dina, I must get busy and practice, I am so way behind on my classes and crafting, I've loss my Mojo. I love lilies and you did an awesome job with the coloring as usual. Keep it going. I will try to. Gorgeous watercoloring! I love that no outline technique, but I don't have good enough eyesight to try it. Loving all these new IO stamps. This lily card is so beautiful, I loved hearing how you did it. I love the Inktense pencils, too, and will use your instruction to try coloring some flowers of my own. Must get this stamp, it is so elegant with your coloring. What a beautiful card. The lillies, which is one of my fav flower, is just gorgeous. You're coloring is awesome. Thank you for sharing you're beautiful work. What an amazing job you did coloring your Lily. I agree, that sentiment and font has such a fresh look. Love that and LOVE your card! Fab card. The yellow lilies really make a statement. I am so impressed with anyone who can do the no line coloring, and you not only do it, but it looks so incredible you wouldn't know this was a stamped image at all!! Thank you for sharing your technique with us. Wow. The detail and shading are great. I want to learn to color like that. Oh my, what a stunning card this is! 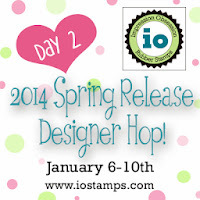 and Wow... great giveaway.. too fun.. love all IO stamps and dies and would be thrilled to have some of the newest ones! No way this is a stamp! It is an art piece! Wow! Beautiful coloring! Beautiful card! Your coloring is beautiful and amazing. Thank you for sharing you little tricks too. Great stamp. Thanks for sharing. this card is totally stunning. It looks like a painting. Love it!!!! I love me Inktense, a fellow blogger turned me onto them and I fell in love with the results immediately!! However, never thought of masking like that....great idea!!!! Fabulous coloring! You brought those lilies to life! Another great offering for this stamp. Lovely card!!! So clever to mask the stamens with your glaze pen...thanks for the tip!!! Great coloring. Looks as if the lily is laying on the paper. Beautiful card. I love the way you colored the lilies. Gorgeous card. Your watercolouring is totally stunning. I think I have to get some intense pencils. Love the colors and the card design! Oh my goodness! What a perfect job of coloring and shading. This is really beautiful, Dina. And I have never heard of masking like this before. Staunning - LOVE how you did this!!! What a wonderful way you achieved the coloring of the Lilies. I would never have thought to stamp first with pink. Brilliant idea. I also love intense pencils and blocks. Thanks for the technique. Very pretty card! Love those beautiful lilies! Thanks for sharing! This is amazing. A true work of art. I would never have believed this was from a stamp. Wow, wow, wow. They are so real looking - you did a wonderful job, thanks for sharing!